Siddharth said that the horror genre is often treated as a shortcut in India. 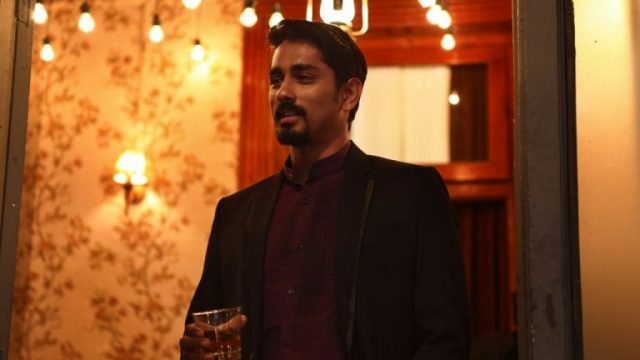 During a recent chat with a leading website, actor Siddharth opened up about his upcoming horror film ‘Aval’ and said that it features some strong female characters. He went on to add that he is not in favour of objectifying women or showing them as faint-hearted people. “I’m not a big fan of women being either objectified or shown to easily to faint in a horror film. As somebody who is quite feminist in my views, the film could not be something that doesn’t represent that,” added the actor. Interestingly, ‘Aval’ is touted to be a horror-thriller and has already created a buzz amongst fans courtesy its gripping/spooky trailer. In fact, some comparisons have also been drawn between it and ‘The Conjuring’. Talking about why it is difficult to make an all-out horror film in India, Siddharth said that here it is still viewed as a shortcut as it can be made on a limited budget. “It’s not because of a lack of ability or talent. It’s because they’re told to dilute it down. A lot of film productions have made horror as a shortcut genre, it’s a quickie. You just need one house, it’s economies of scale. We haven’t tried to do that. We’ve given it whatever the genre deserves,” he added. Well, we wish Siddharth the very best and hope that ‘Aval’ does well at the box office. The film has been written by Milind Rau and will hit screens on November 3. So, are you looking forward to the release of ‘Aval’? Tell us in the space below.